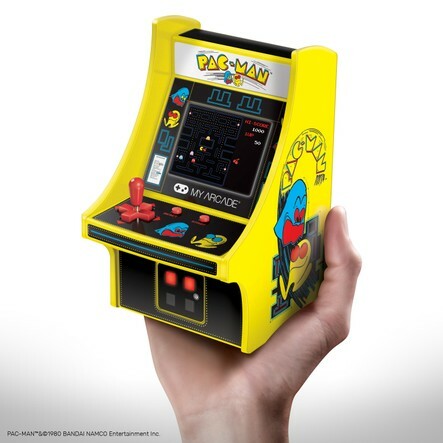 Bleep diddy bleep beep da da dad daaaa the dulcet tones of PacMan rapidly takes me back to spending a small fortune in my college refectory putting way too many coins into a full size arcade machine. However, this isn't a full size machine instead it sits on the palm of my hand. What really gets you is the audio something about it immediately makes you go back many years. 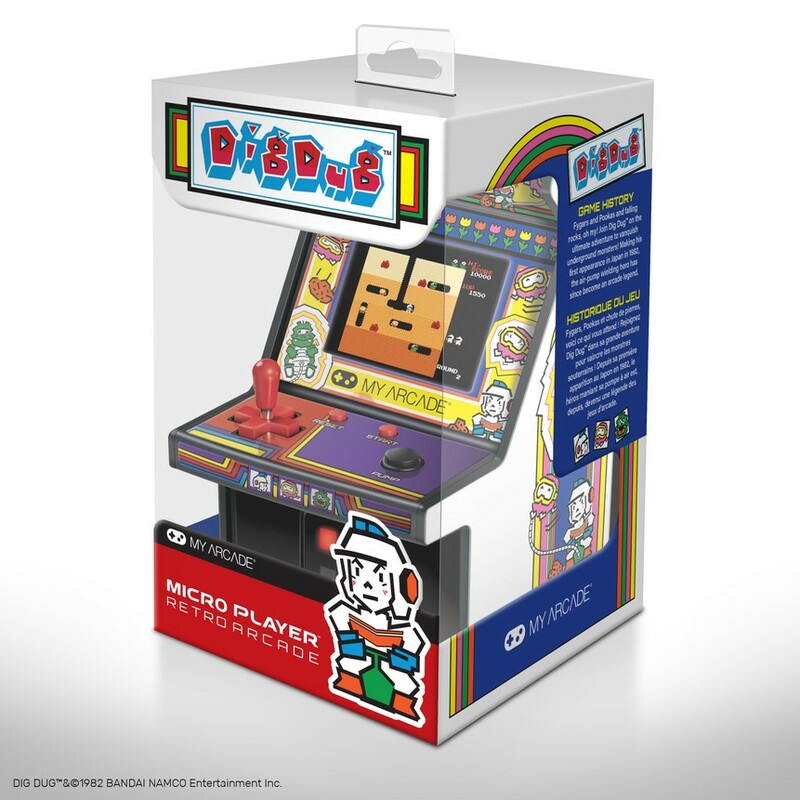 Some people have said this is not totally accurate to the arcade but, and maybe this is due to playing this on game machines later on it seemed very good to me. The arcade case is a really good representation of the original and I love that they have used the coin deposit area as the on/off button. Talking about button these are a little small for my big fingers but the included joystick makes this a lot easier to use. Some people have complained this isn't as responsive as modern joystick but come on folks this is a replica of an 80's machine. Now because it is small it is going to make playing higher levels more challenging but for most non-experts its certainly going to be fun. Bottom line we love these things and they are a brillaint gift for those who remember the originals but also to give the young a taste of retro gaming which apparently is all the rage. 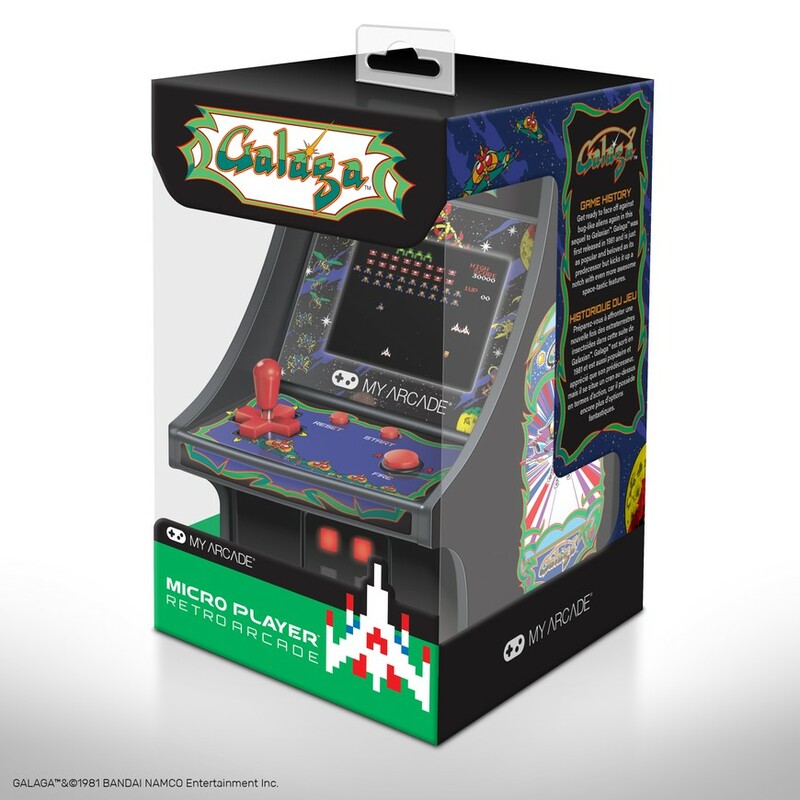 We are very happy to award the My Arcade Micro Players our TrulyFascinating award. Retro is big news this year and you will definitely get that retro vibe as soon as you turn on this great gift and hear those stirring beep.